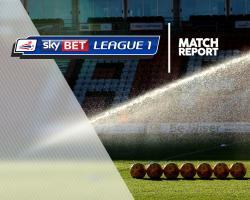 Josh Magennis struck a hat-trick as Charlton came from behind to brush aside Bristol Rovers 4-1 at The Valley. Charlton had thrashed Rovers 5-1 at the Memorial Stadium in November and they were convincing victors again, although they had to do it the hard way after a mistake by Patrick Bauer gifted Rovers a 12th-minute lead. The Addicks defender slipped while attempting a back pass, enabling Jermaine Easter to burst clear on goal and round Dillon Phillips before slotting into an empty net. Magennis' free-kick hit the crossbar, while Adam Chicksen's cross was tipped behind by Will Puddy via the woodwork as Charlton sought an equaliser before the break. Parity was restored four minutes before the interval with Magennis heading home from Joe Aribo's free-kick. And the duo combined in almost identical circumstances five minutes into the second half, an unmarked Magennis again using his head to convert from Aribo's set-piece delivery. Aribo turned provider once again just after the hour, playing a low ball across the face of goal which was swept in from close range by Jorge Teixeira to make it 3-1. Magennis completed his treble after 73 minutes, latching on to Andrew Crofts' pass and then firing an angled shot beyond Puddy in some style.